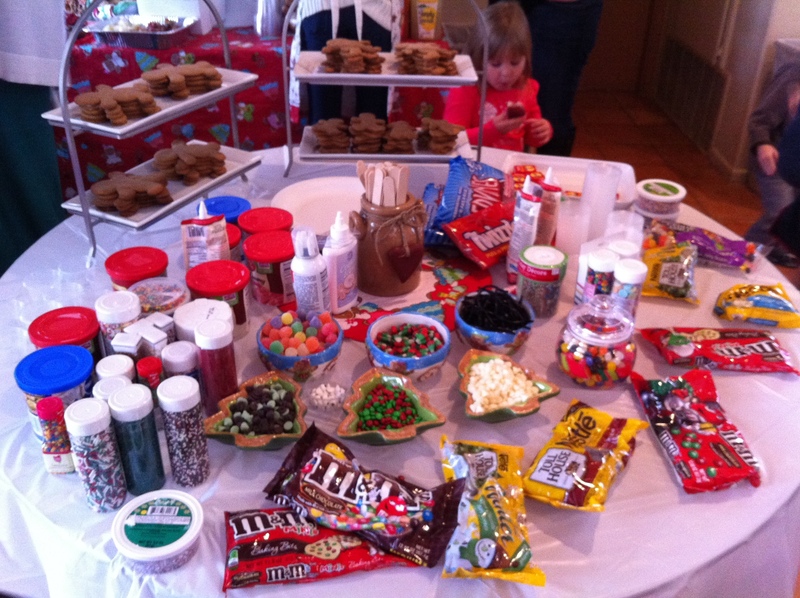 My sister held her 4th Annual Gingerbread Party for her kids and their friends recently. 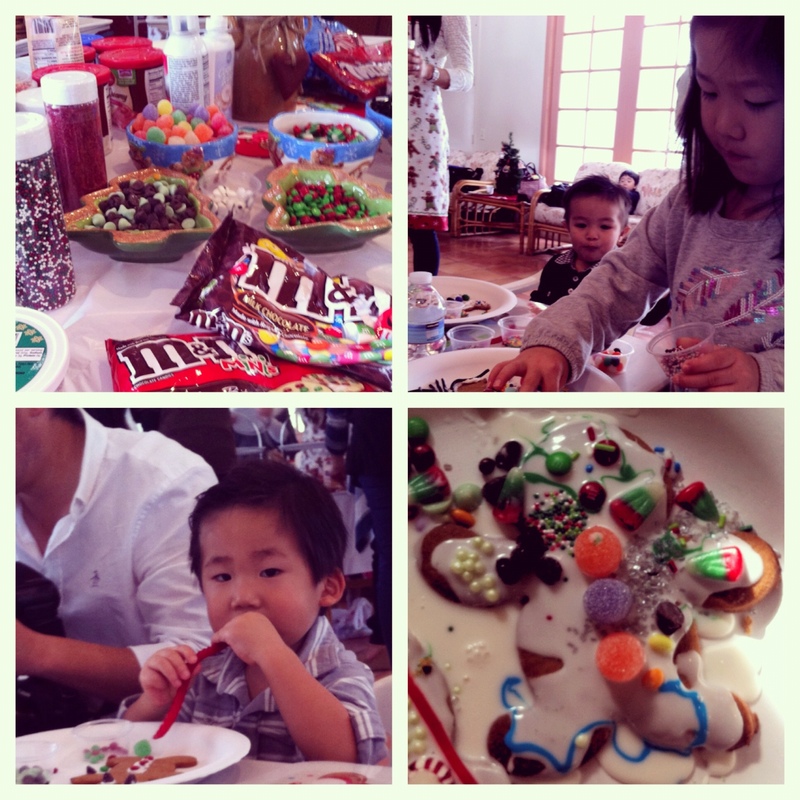 Kids come and decorate their gingerbread cookies with all sorts of candies. Then they go sugar high within 5 minutes of decorating. It’s always fun to watch the kids just run around and dance around freely because they’re so hyper. 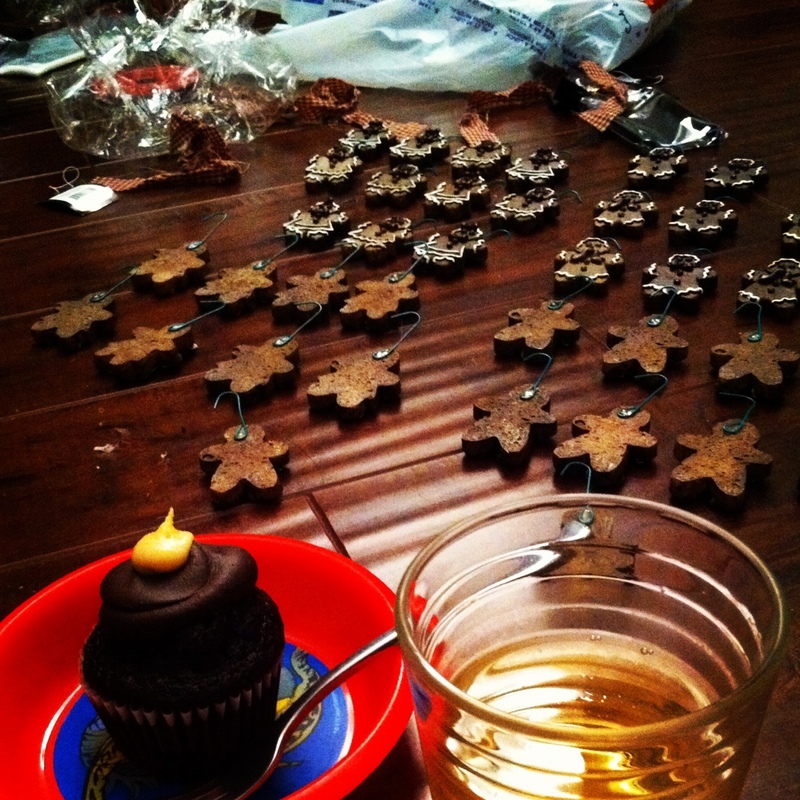 I helped her put together party favors which were little gingerbread ornaments. From this gingerbread party, I’ve learned a few important things. One. Some kids are passionate about decorating their gingerbread cookie . Two. Some kids are there to just eat only (Ahem. My nephew.). Three. The most important thing I learned was that every year at least one gingerbread man drowns from too much icing.